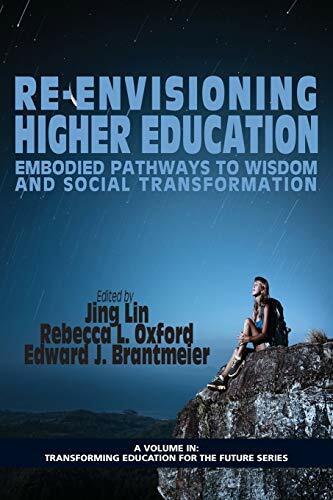 [PDF] Re-Envisioning Higher Education: Embodied Pathways to Wisdom and Social Transformation (Transforming Education for the Future) | Free eBooks Download - EBOOKEE! Description: A volume in Transforming Education for the Future Series Editors Jing Lin, University of Maryland and Rebecca L. Oxford, Alabama A & M University This book will expand the horizon of higher education, helping students, faculty and administrators to return to their roots and be in touch with their whole being. This book stresses that learning is much more than just accumulating knowledge and skills. Learning includes knowing ourselves-mind, body, and spirit. The learning of compassion, care, and service are as crucial or even more important in higher education in order for universities to address students' individual needs and the society's needs. Higher education must contribute to a better world. The book acknowledges that knowing not only comes from outside, but also comes from within. Wisdom is what guides students to be whole, true to themselves while learning. There are many ancient and modern approaches to gaining wisdom and wellness. This book talks about contemplative methods, such as meditation, qigong, yoga, arts, and dance, that help people gain wisdom and balance in their lives and enhance their ability to be reflective and transformative educators and learners. No comments for "[PDF] Re-Envisioning Higher Education: Embodied Pathways to Wisdom and Social Transformation (Transforming Education for the Future)".